Bus, bike and boat around the San Francisco Bay! Bus, bike and boat around the San Francisco Bay! This two day package is the ultimate land and water experience. 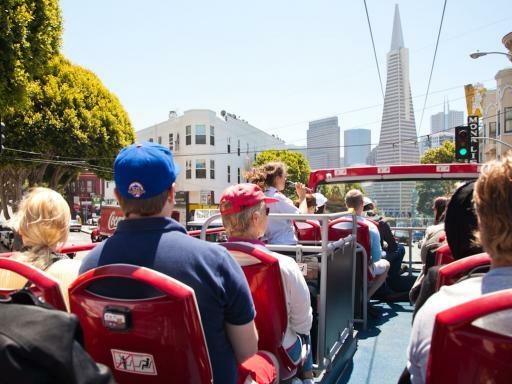 See the sights of San Francisco on an open top sightseeing bus. 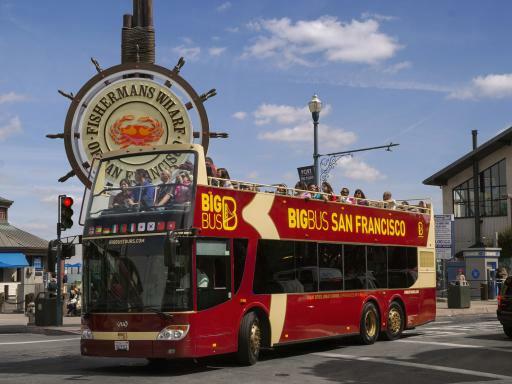 Bike over the extraordinary Golden Gate Bridge to the quaint town of Sausalito, or ride down on the Big Bus Trolley. 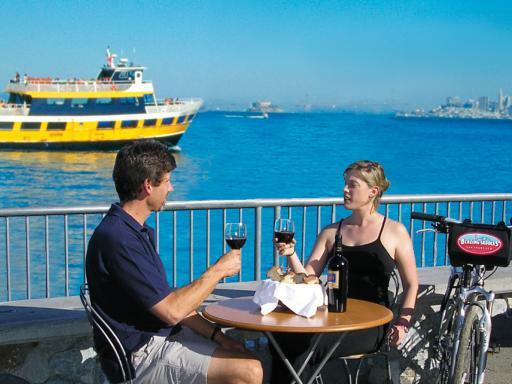 Enjoy lunch on the water and head back to the city on a ferry. This two day package is the complete package for seeing San Francisco and a great way to tailor your visit of San Francisco at your own pace. Experience the best views of the City’s distinctive landmarks and learn about its fascinating history. 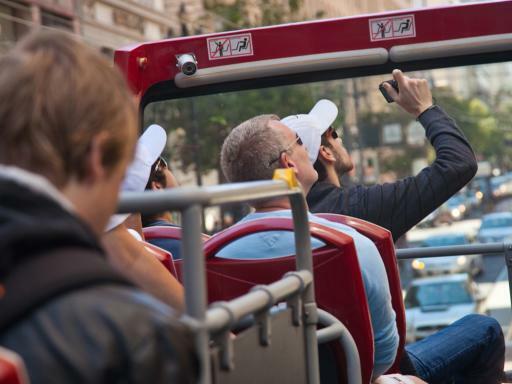 See the sights of San Francisco on an open top sightseeing bus. With your 24 hour ticket, hop on and off at over 20 stops as much as you please. 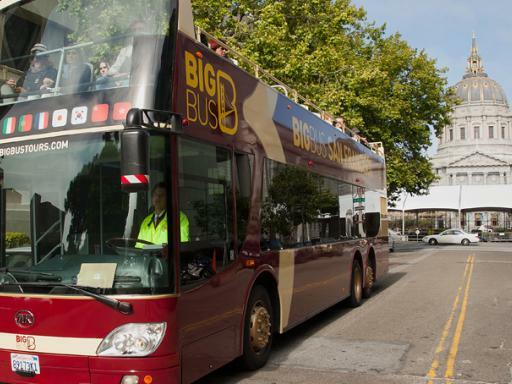 Bike over the extraordinary Golden Gate Bridge to the quaint town of Sausalito, or ride down on the Big Bus Trolley. Enjoy lunch on the water and head back to the city on a ferry accompanied by the view of the bay and the famous Alcatraz prison as you coast into the San Francisco Port. 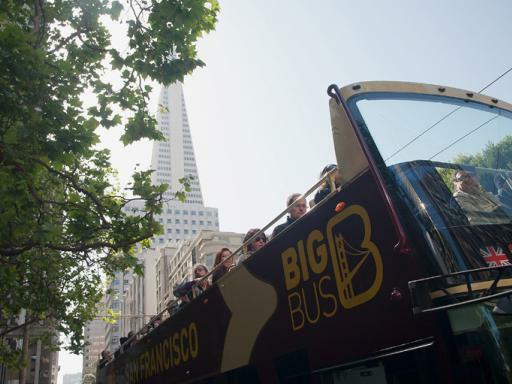 Explore San Francisco's incredible sights at your leisure on this hop-on, hop-off bus tour. With more than 20 stops this tour ensures you see all the key attractions of this unique city. Also included with your ticket are three walking tours of Chinatown, North Beach and the Barbary Coast neighbourhoods where you can experience authentic Chinese food in Chinatown, explore the district of Little Italy and hear about San Francisco’s small beginnings on the Barbary Coast Walking Tour. Golden Gate Bridge to Sausalito – 8 miles/2-3 hours A beginner’s leisure ride! 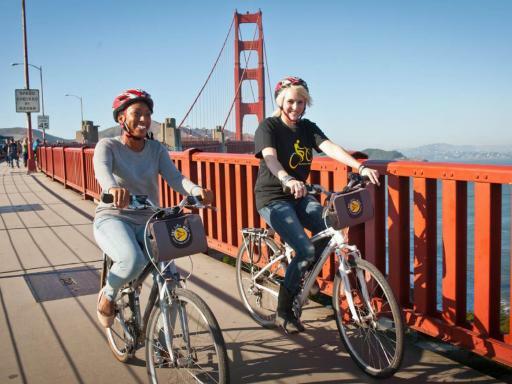 Bike through Fisherman’s Wharf, Municipal Pier, Fort Mason, Crissy Field, the Presidio, and Fort Point. 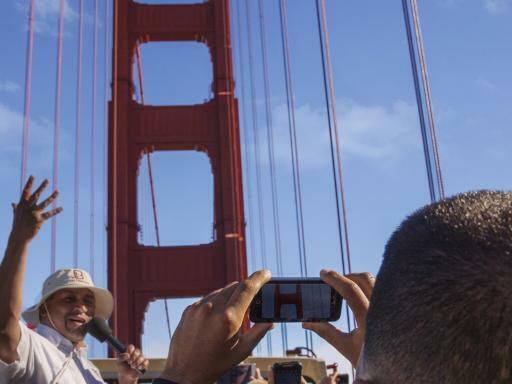 Bike the Golden Gate Bridge on a wide bike path with awesome views! Coast two miles downhill into sunny Sausalito, return by ferry (ferry ticket not included, payable locally). 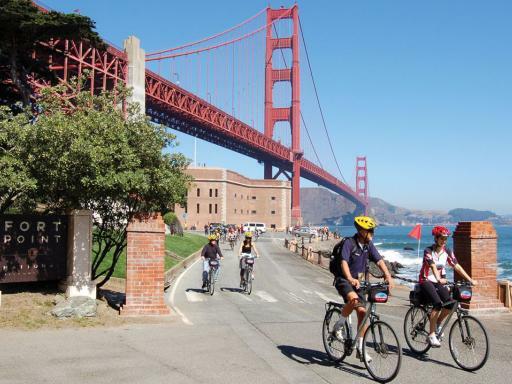 City Coast to Golden Gate Park – 21 miles/3-5 hours Bike through Fisherman’s Wharf and the Marina to the city’s dramatic edge. Check out breathtaking coastal views, Palace of Fine Arts, The Legion of Honor Fine Arts Museum, and Ocean Beach. Coast into Golden Gate Park, home of more museums, the Japanese Tea Gardens, Stow Lake, and the Arboretum. Next door, visit the Haight/Ashbury neighborhood: the definitive San Francisco Experience! Ride through historic Presidio paths back to our shop! Golden Gate Park Loop – 8 miles/2-3 hours Loop through Golden Gate Park visiting one, two, three (!) museums, and the Japanese Tea Garden. Circle around Stow Lake and stop for a bite to eat before heading out to hug a tree and feed the bison. Bike the coastal bike trail and visit the Cliff House and Sutro Bath remains before looping back to the bike shop. Golden Gate Park to Golden Gate Bridge and Back - 10 Miles/2-3 hours After taking in all that you can in Golden Gate Park, why not bike the Golden Gate Bridge? We have the best route to cut through the city on safe designated bike lanes before winding through the historic and majestic Presidio with its mammoth trees and world class viewpoints. Cycle down the bridge and back on wide bike path before finding your way back to the Park or, return to our shops on the waterfront! Golden Gate Park to San Francisco Waterfront - 5 Miles/2 hours From our Haight location, you can view Victorian homes, shop high-end vintage clothing shops, venture to the Grateful Dead house, and bike through the beautiful, tree-filled Panhandle. 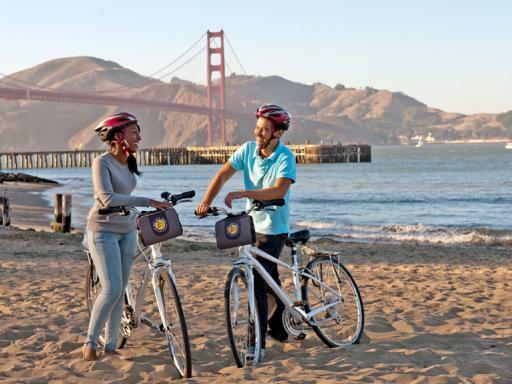 Enjoy sweeping views of Alamo Square and the Painted Ladies before riding across town through City Hall, Polk Gulch, and the triumphant denouement of the city’s cool waterfront. Collect your bike from Fisherman's Wharf. You will be sent an open-dated Bay Explorer ticket voucher which can be redeemed at any time during your holiday at the redemption centre in Fisherman's Wharf or on board one of the buses. Details on how to receive your all-day bike rental will be given at this time.